Static pages are different with posts, pages are not showed in blog roll (latest post list) or feeds and also have shorter URLs. 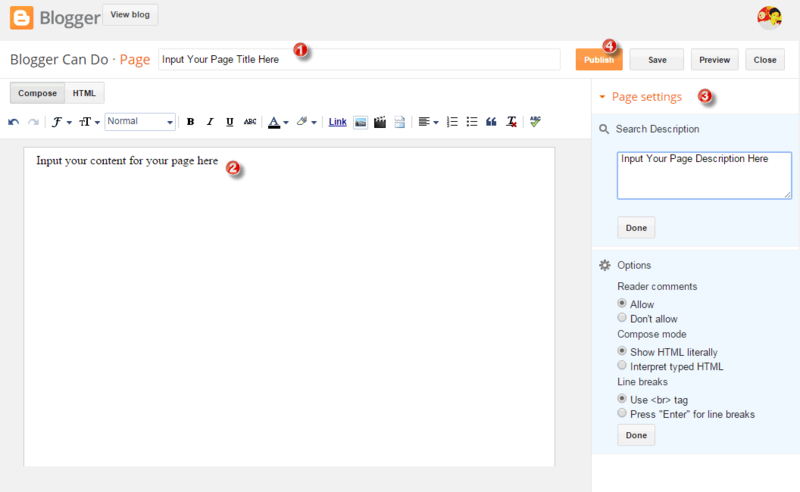 And this article will show you basic steps to create a static page on Blogger / Blogspot. 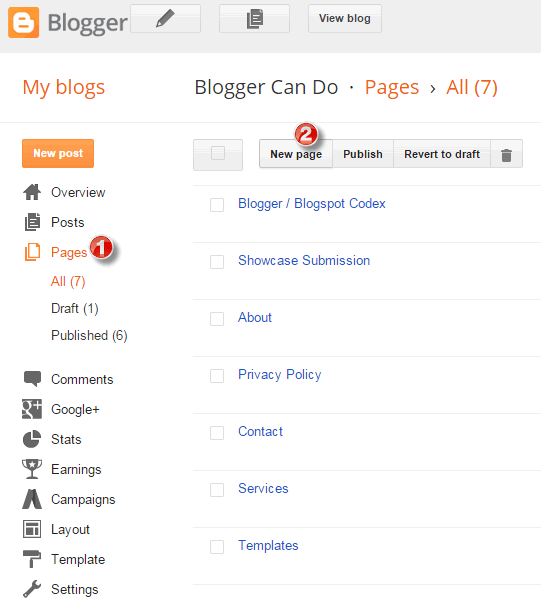 Login to your blog dashboard, click Pages. In Pages window, you will see a list of published pages that allow you mouse hover those names of pages to show links for Edit/Delete/View your published pages. And in some buttons above the list, click New page button to start working with a new static page. In window to create page, just input your page title and content, also input search description and options for your page. The description field only appear if you enabled search preferences for your site. After all, previewed and double checked your page then click Publish button to publish your page. Congratulation! 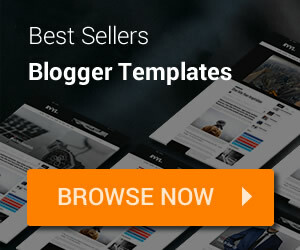 You just created your first static page on Blogger / Blogspot. Your published pages will show in Page List widget configure, so if you want your Page List widget can show a page, you must create a static page first like above steps.